I adore heels so much, i think i'm ready for a campbell. 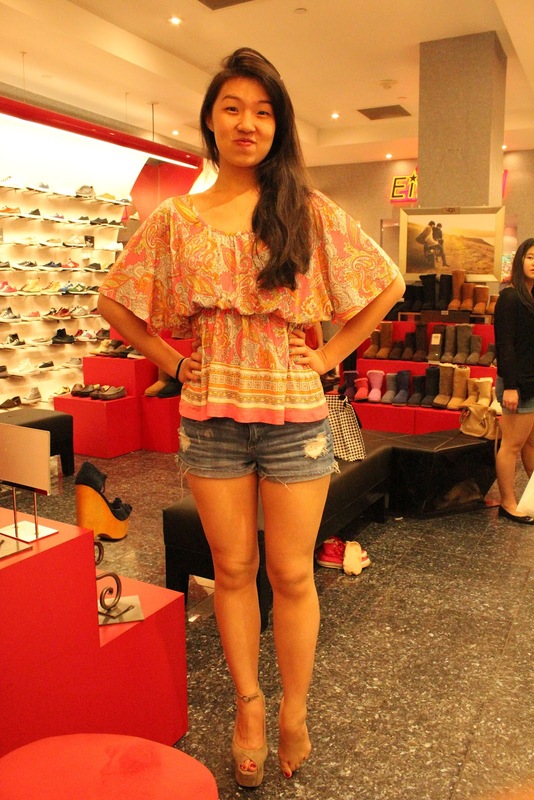 It feels absolutely awesome to be in a pair of heels with no heels. It's so eggciting to just even think about walking in it. All thanks to Cryssa and Selina for bringing me around LA, i had the chance to do some shopping in a random mall in beverly hills and finally balance in a pair of Jeffrey Campbell Night Walk. I know it's just a pair of heels and you'd probably think that there is really nothing for me to make such a big deal about but i felt absolutely amazing in it. I have never wanted a pair of heels as much as a pair of night walk and i'm pretty sure i'm going to make such extreme statements on another pair of shoes in future but c'mon, i'm only 18 and it's a heel-less heel! Pardon me alright. This is Selina trying to be even taller than a girl is ever supposed to be.